At the American Cinematheque in Los Angeles, Steven Spielberg presents Elia Kazan's A Face in the Crowd, restored by the Film Foundation thanks to grants from the HFPA. Steven Spielberg and Christopher Nolan introduced special screenings of films restored thanks to Hollywood Foreign Press Association grants at the American Cinematheque. The program was presented jointly with the Film Foundation as part of the events celebrating the 75th Anniversary of the Golden Globe Awards. Over the last 20 years, the HFPA has helped fund the restoration of over 90 classic feature films through the Film Foundation, the organization launched by Martin Scorsese to preserve film heritage. Thanks to this partnership, future generations will be able to enjoy classic films that had come to define our cultural identity and our times and that happened to be in a state of disrepair. Other films in the series included the Michael Powell-Eric Pressburger masterpiece The Red Shoes, Robert Altman’s Come Back To The Five And Dime, Jimmy Dean, Jimmy Dean, the first film version of Death Of A Salesman and Indian director Satyajit Ray’s acclaimed Apu Trilogy ( Pather Panchali, Aparajito and Apur Sansar). 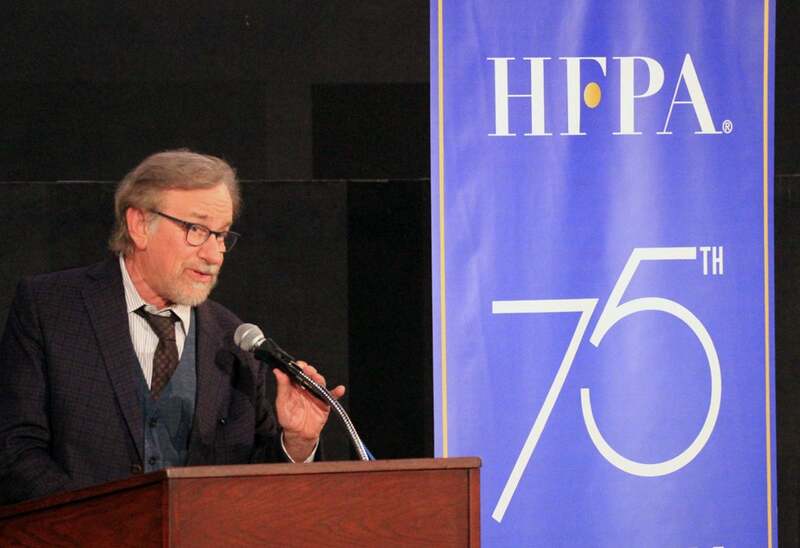 The film restorations have been made possible in part by grants awarded annually to The Film Foundation by the HFPA. The Red Shoes was presented by Christopher Nolan. The director joked that now that he is on the Film Foundation’s Board he has gained the right to call Mr. Scorsese simply Marty, and he added how he appreciates Scorsese’s fascination with color and the influence of color, something very fitting for a film like Red Shoes, a Technicolor dream.